Truth be told 95% my meals are fast and easy. I like cooking but I do not like stress so I have a list of meals that I make that take 15-30 minutes to get on the plate. The only time my weeknight meals take longer is when I am making fries or tots in the oven, my oven takes forever to warm up! I keep canned beans in the pantry as well as rice and noodles, in the freezer I have frozen veggies and fries and in the fridge I always have tofu, nut milk and salsa. I can make multiple meals out of any of the above ingredients quickly. 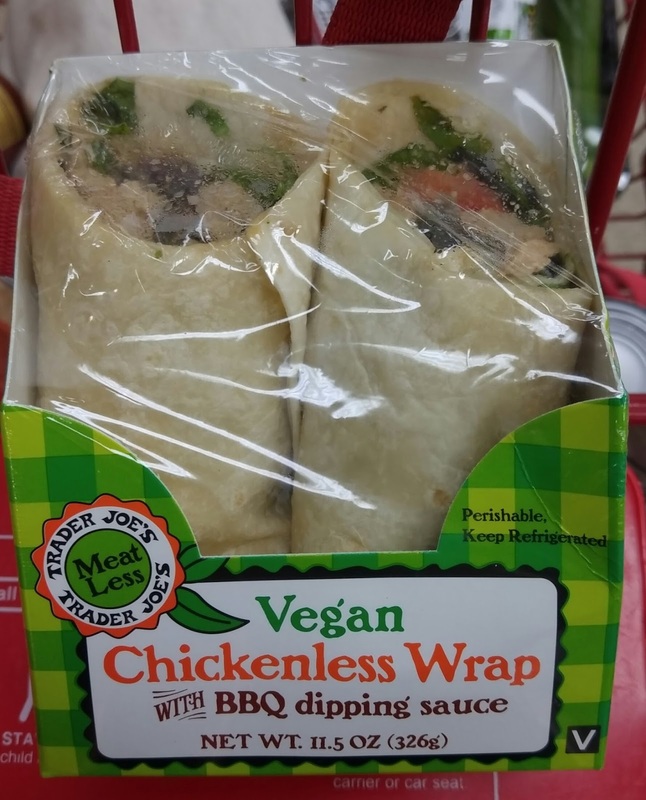 However you cannot get much more quick or easier with a vegan wrap from Trader Joe's. These are handy lunch staples for us. Matt likes the one above and I like the lentil. They are pretty hearty, good to split for a picnic paired with some chips or eat the whole thing with a side salad or tots if you feel like turning on your oven for dinner. Your pantry sounds like mine. The wraps look good. England is lagging behind in terms of wraps and sandwiches. Whenever I see something in a shop that looks vegan it always seems to have yoghurt, Creme fraiche or honey in the ingredients list. Luckily there are a couple of chain places that do decent lunchtime salad options. This is definitely my kinda quick & easy! If you're turning the oven on to do more than heat something frozen it doesn't count! Chicken less vegan wraps? I'd love to try that. Same. I have my staple meals I can pull together fast and repeat on riff's of each other. I don't think we have Trader Joe's in Canada, or at least maybe in the bigger cities -of which Canada has four.